A single decision transforms the act of coaching from a time drain to a hugely positive bottom line gain. The secret to effective coaching is to develop other coaches throughout your team. By doing so, this dramatically reduces a manager’s time commitment to the process while creating the infrastructure to enable the achievement of exceptional results from the process. One huge caveat – we consistently observe another pitfall of coaching in organizations. There is an assumption that anyone with good technical skills of a job can coach others. This is an erroneous assumption, and it leads to the same mistake as we mentioned before – people mostly directing (training) and not guiding (coaching). Good coaching is less dependent on technical skills as it requires excellent communication skills, particularly strong skills in asking questions and listening. Think of how many people you know who ask really effective questions and listen extremely well. Now you know why people need to be trained in the art of effective coaching. The organizations that win and consistently win in the marketplace will also win the war for talent because they will be known for developing their talent by having a culture of coaching. In future articles we will reveal additional best practices and tactics we teach managers that transform them into the most sought after coaches in their organizations. 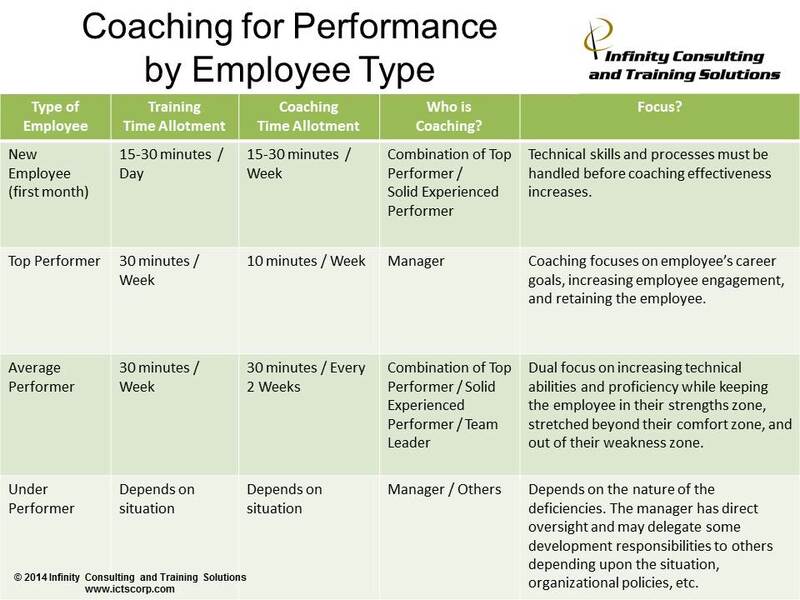 What additional tips and strategies for effective coaching for performance have you used? Please share them in the comments below. For more tips and strategies on effective coaching, email us at info@ictscorp.com, explore the rest of this website, subscribe to this blog, and follow me on social media (Twitter, LinkedIn, YouTube, and Facebook). By doing so, you will gain access to leading edge research on management and leadership development and have access to daily inspirational and motivational quotes that will drive your success trajectory upward. So don’t delay, follow me and think yourself to success today!